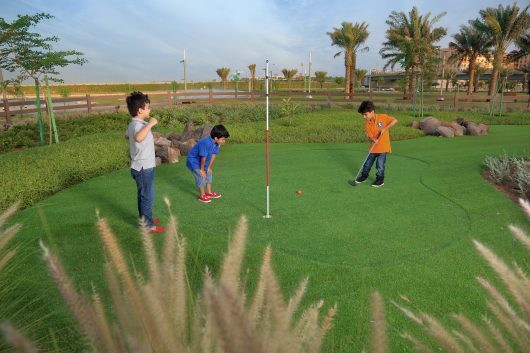 A Vegetation Maze, 2 Kids Play Zones, Game Courts, and an Outdoor Exercise Area. Welcome to Juman Park! Juman Park and Promenade is the 55,000 sqm public park development in the Bay La Sun District of King Abdullah Economic City (KAEC) in the Kingdom of Saudi Arabia. KAEC is experiencing rapid year-over-year growth with notable boosts in the number of national and international companies investing in the area and a coinciding increase in the residential population of KAEC. 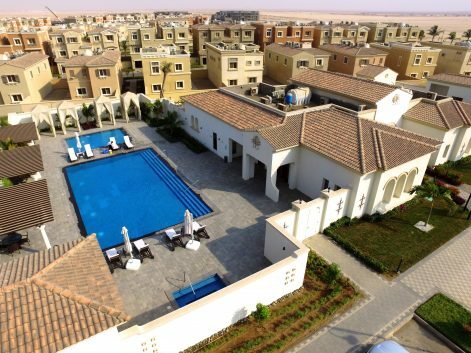 Hence, Juman Park was created to provide KAEC residents with a convenient, family-friendly way to engage within the community, to exercise and relax. 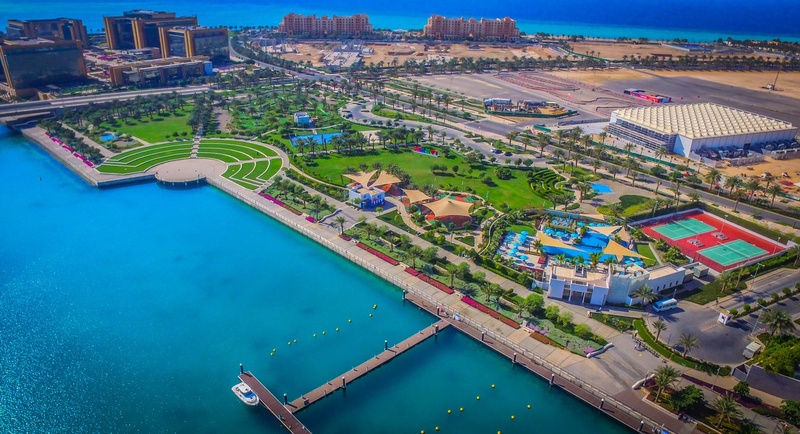 Plans to develop Juman Park first came to light in 2014 when KAEC awarded New Job Contractors Establishing the SR 43.5 million contract to plan and build the park and the adjacent canal promenade. The park, which is bordered on either side by the Bay La Sun Hotel and Marina, and the Bay View Office Park, was completed in May 2015. The development offers visitors and residents a host of unique amenities, starting with a 9-hole putt-putt course and an 18-hole miniature golf course. Juman also offers a children’s dry play zone equipped with 12 play pieces and impact-resistant flooring. A section of the play zone is designated for toddlers ages 3 to 6 while the rest is for children ages 6 to 12. In addition to the open play lawn, there is also a vegetation maze, a terraced lawn, and an activities lawn. Are you a fan of competitive sports? Play tennis, sand volleyball, or a quick game of basketball on the multi-use court. Cool down in one of two swimming pools or grab a cup of coffee on the promenade. Juman Park and Promenade also features an amphitheatre surrounded by the terraced lawn. The amphitheatre is the perfect place to host public and private events in a wonderfully scenic setting where patrons can look out over the Bay La Sun canal. 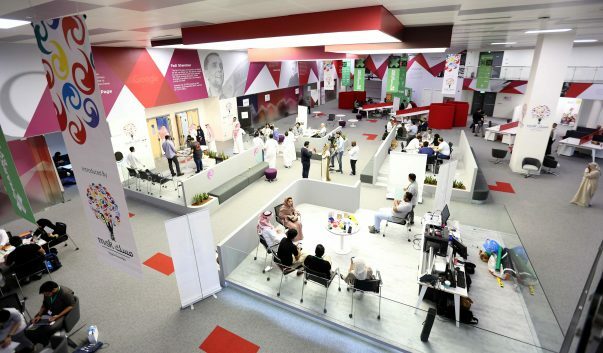 As the population of KAEC continues to grow and more and more people put their focus on achieving a better work-life balance and improving professional performance through physical conditioning, there arises a need for public spaces where people can go for individual or group exercise. Juman Park offers two exercise stations connected by a 1m running track and a promenade that connects Bay La Sun Hotel and Marina, Juman Park, and the Bay View Office Park. KAEC’s Juman Park is the perfect addition to the already-blossoming live-work community. 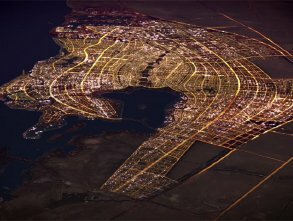 It’s just one more reason to visit King Abdullah Economic City.